Come lay your head where the “King of Rock ‘n’ Roll” laid his. 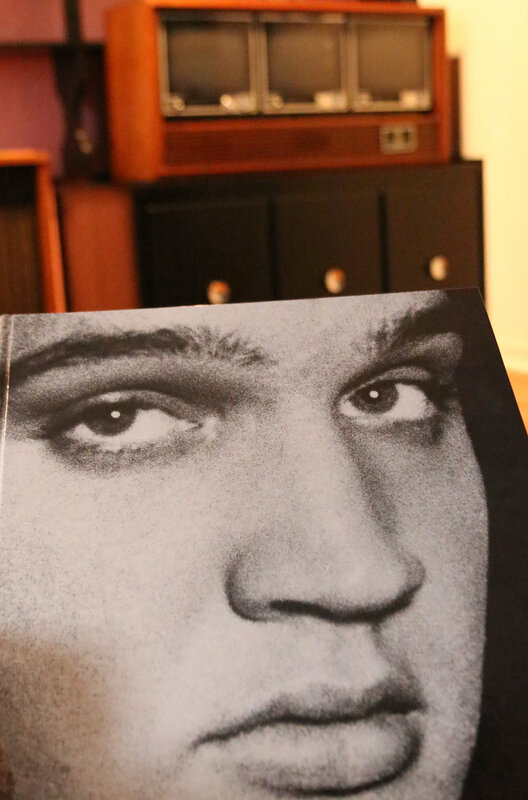 The Elvis House combines 1950's Rock 'n' Roll style and history with all the modern conveniences for a comfortable stay. During the years 1956-58, Elvis Presley referred to Eddie and LaNelle's charming home as his "home away from home." The book, "Elvis Days," has touching stories that recount the days Elvis enjoyed time with not only the Fadal family, but also with Vernon, Gladys, Minnie Mae, and fans before beginning military duty overseas. Rock 'n' Roll icon Elvis Presley toured the cities of Texas in his early career often performing at Waco's Heart O' Texas Coliseum. Before and after his concerts, he would visit his dear friends, Eddie and LaNelle Fadal, in their Waco home. Elvis's visits were filled with love, laughter, music, and unexpected, but memorable, events. 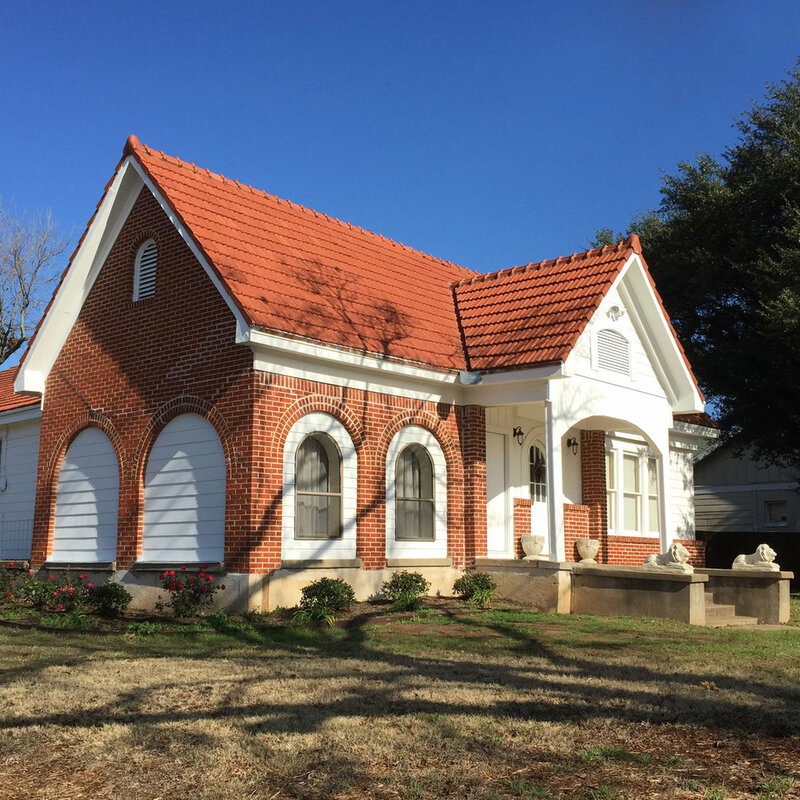 In the Heart of Texas, shop downtown at the Magnolia Market, walk across the historic Suspension Bridge, stroll through the cultural and historic district that crosses the mighty Brazos River, hike or mountain bike Cameron Park. Restaurants, entertainment, and nightlife . 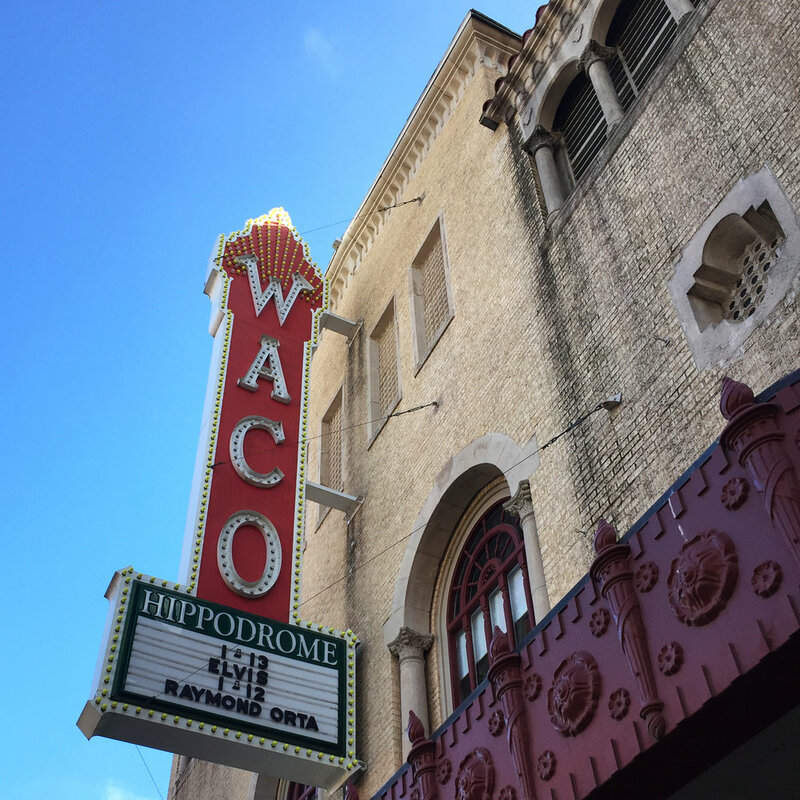 . . come and explore all that Waco has to offer. This spacious and warm living room is located at the front of the house and is perfect for entertaining guests or enjoying a movie after a day of sightseeing. The 55" television, large comfortable leather couch and ottoman make relaxing in this room easy. 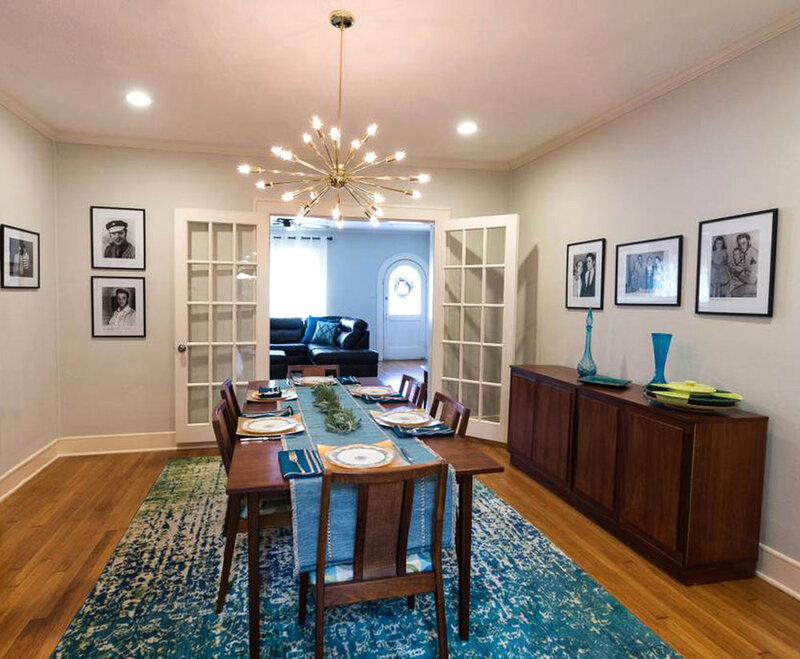 In the 1950s, this was the room that the Fadal family, Elvis, and Anita Wood would gather in to enjoy snacks, laugh, and sing together while Elvis played the piano, which used to be by the wall near the front door. Janice remembers the time when Elvis kissed her cheek while they were all together in this very inviting room. This airy and sunlit bedroom boasts a delightfully cheery theme featuring a 1960s-style, The Beatles memorabilia, and a large painting of singer Joni Mitchell, as well as modern elements like the gold-stemmed marble-topped nightstand. The comfortable king-size bed, dresser, and closet make this the perfect bedroom for anyone looking to wakeup wrapped in sunshine. This centrally located room features a dining table with seating for six. The "constellation" light fixture above the table is similar to one that hangs in Graceland. In the 1950s, it was the room where the Fadal family with Elvis, Vernon, Gladys, Minnie Mae, and Anita Wood would gather to celebrate birthdays, anniversaries, and enjoy delicious home-cooked meals. 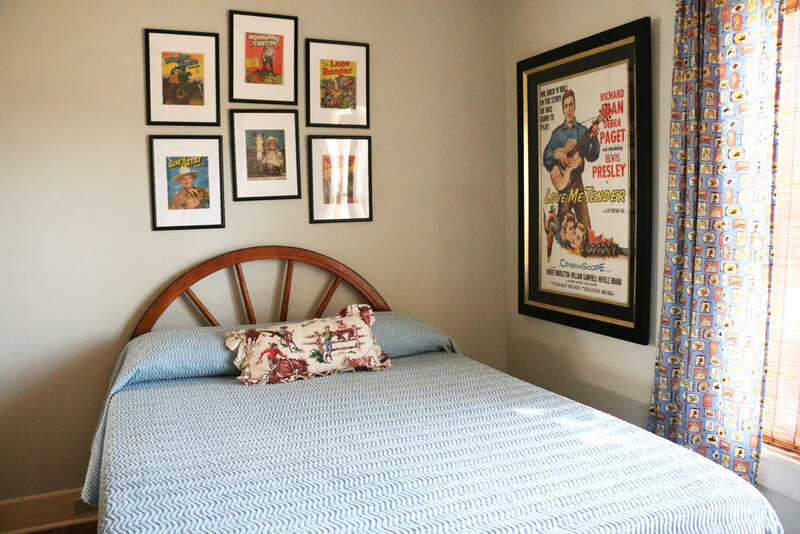 This timeless bedroom features a classic western theme with framed vintage photographs and magazine covers of Gene Autry, The Lone Ranger, Roy Rogers, and Dale Evans. There is also a 1950's Reddy Kilowatt advertisement. Elvis nicknamed the Fadal's young son, Dana, "Reddy Kilowatt" after he saw Dana walking around one day holding a light bulb. A queen-size bed, large dresser, and closet complete this bedroom for anyone wanting to feel at "home on the range" without ever leaving the comforts of the suburbs. 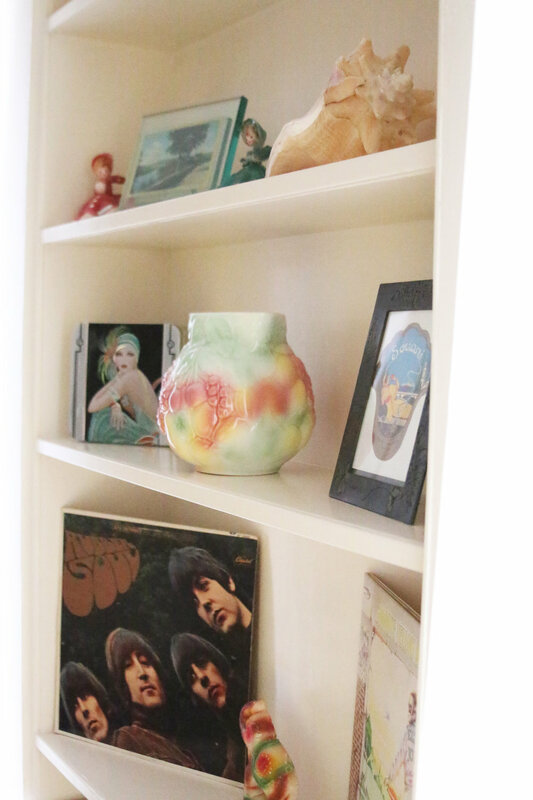 This 1950s-style room was built onto the house to accommodate Elvis's passion for music. Elvis's favorite colors, pink and black, were chosen to give this room a compelling atmosphere and is now a perfect statement reminiscent of a bygone era. While the Fadal children, Janice and Dana, were sound asleep, the Hi-Fi would sometimes play into the wee hours of the morning, which were typical "Elvis Days." It's a pretty well known fact that Elvis preferred iced tea or soda to alcoholic beverages, but what is a den without a wet bar? This quaint space was designed to allow guests the chance to unwind and relax after an adventurous day taking in all the wonderful sites that Waco has to offer. Elvis and his lovely girlfriend, Anita Wood, once occupied this relaxing bedroom. 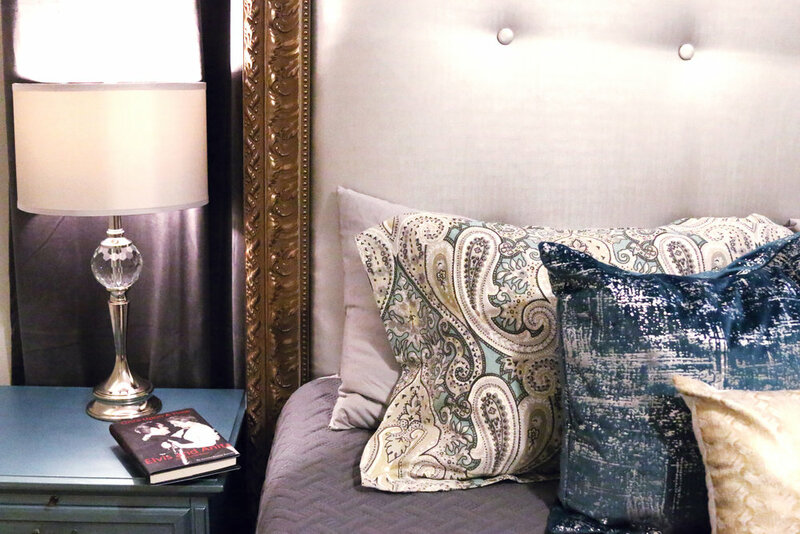 The king-size bed was very fitting for the "King of Rock 'n' Roll" and the neutral colors, with a hint of blue suede, make for a peaceful bedroom that also features a dresser and walk-in closet. Make a cup of fresh hot coffee and a homemade breakfast to start your day off before heading out to see Waco's finest attractions. Or enjoy a relaxing dinner in after a long day of sightseeing. Whatever you decide, with a coffee maker, toaster, blender, microwave, refrigerator, and dishwasher, LaNelle's Kitchen has all the ingredients to make your stay enjoyable. In the 1950s, a pound of bacon burnt to a crisp, eggs, sliced tomatoes, purple hull peas, and banana cream pie were some of the foods LaNelle had ready for Elvis when he visited. It goes without saying, but this kitchen saw a lot of meals cooked by not only LaNelle, but also by Gladys who enjoyed preparing meals for the Fadals and her boy Elvis. © 2018-2019 The Elvis House. All Rights Reserved.